This is the second installment of a video series on my YouTube channel called Tinkering Bell where I showcase my personal esoteric tinkerings. This is Part 1 of 2 videos on the architecture and design of sacred space. Part 1 (Episode #2 in the series) will cover the first of the five fundamental principles: harmonic resonance. Whether you are designing the blueprints for a church or temple, seeking out a home and living quarters that will be empowered as sacred space, or setting up your altar, “Architecture of Sacred Space” from the Tinkering Bell series will cover the five fundamental principles for constructing sacred or sanctified space. There is a common denominator among mystery traditions across the world that instruct on a perfected way for harmonizing human architecture with deity and with nature. In “Architecture of Sacred Space,” I share with you the basic criteria I follow for ensuring a sanctified living space. 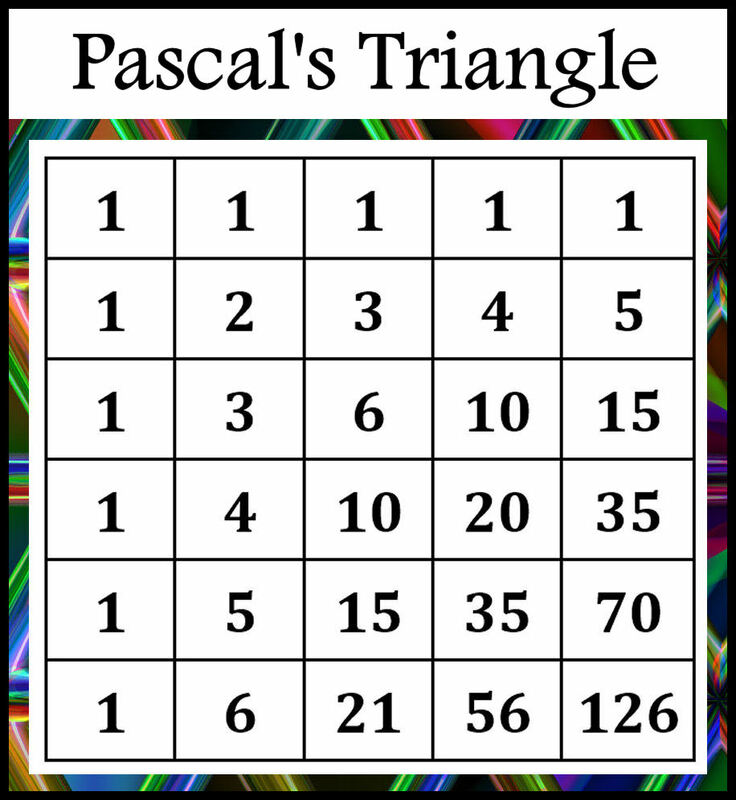 I acknowledge that this episode may be boring and for much of the initial run-time of the video, you may wonder what any of the math mumbo jumbo has to do with occultism. It has plenty to do with occult study and I persisted through the boring material and produced a video on said “boring material” introducing it this early on in the series because it’s important. Calibration of advanced work will be predicated on what is covered here. Much of the efficacy of your craft is determined by the very first line of inquiry: whether you’ve designed space for that craft in such a way that it is sanctified and strikes harmonic resonance. Being “in tune” before you even start your work will create a powerful hub of energy for you to draw from. If you’re not in tune, you won’t have that hub of energy supporting you. Finally, if you are interested in learning craft through my particularized methods, then beginning your cultivation here lays the foundation for my approach. This episode conveys to you how I think, how I process information, and how I approach craft. The following downloads are referenced in the video and provided here for your free, unfettered uses. The chart pictured in the provided image file is sourced from Steven Lehar’s book, Harmonic Resonance in the Brain, Chapter 2, Figure 2.1. 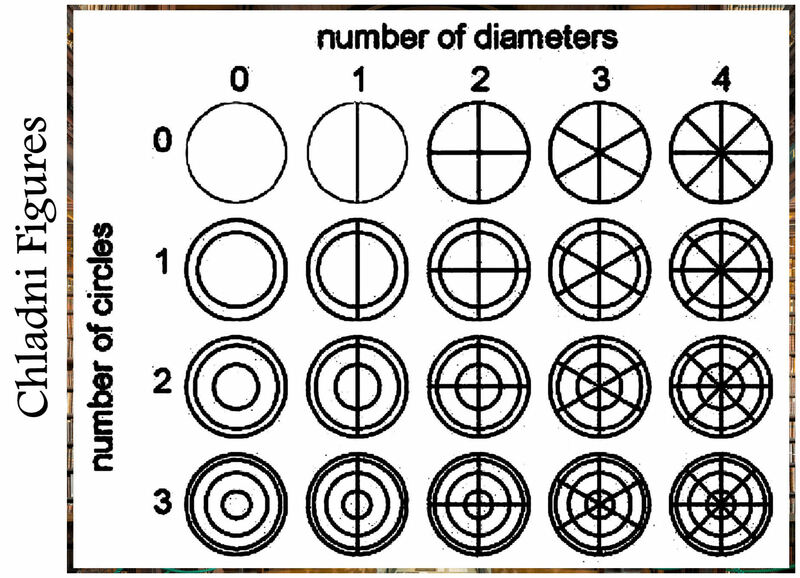 The chart pictured in the provided image file is sourced from Steven Lehar’s book, Harmonic Resonance in the Brain, Chapter 1, Figures 10 and 11. 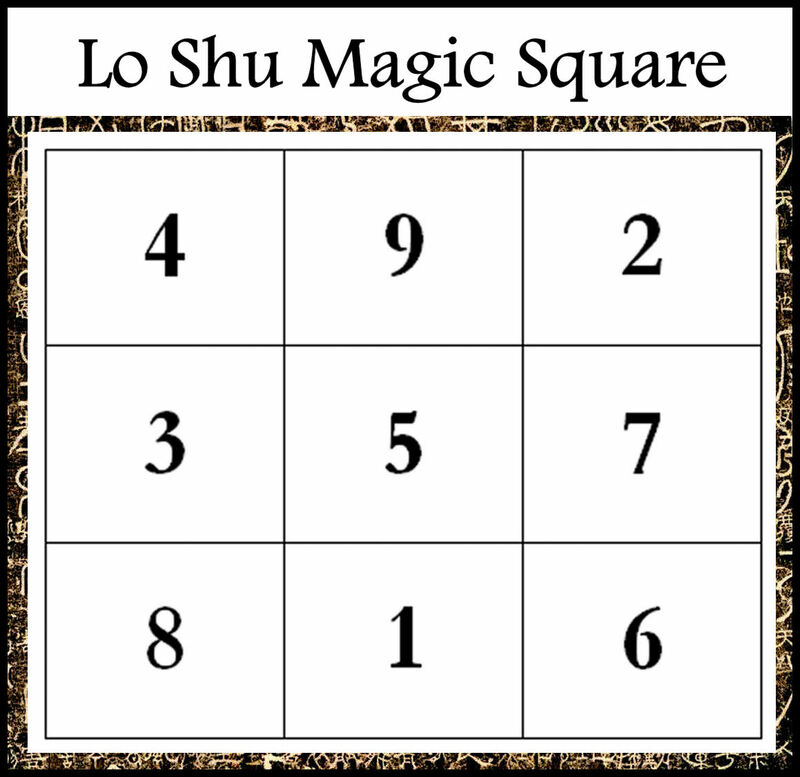 There are many layers and dimensions to working with the Lo Shu. Linked below is only a basic diagram. Check out the “Tao of Craft Downloads” page for more detailed renderings of the Lo Shu. My book The Tao of Craft also expounds upon the Lo Shu, history and practice, in greater detail. 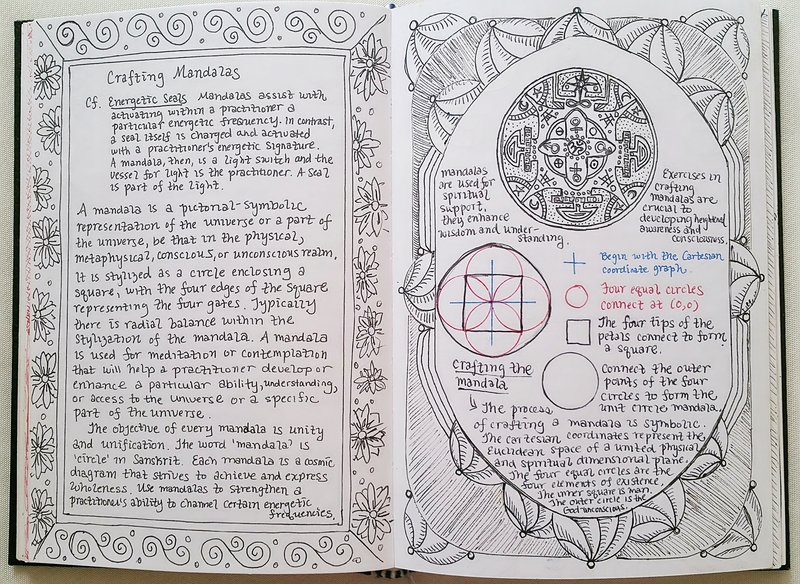 The following image file is a scan of pages from my personal grimoire that instructs on crafting mandalas. Following each installment of the series will be a suggested practicum, or homework, for you to try out. Homework material presumes that you are an occult practitioner who is working on developing your craft. Note-Taking During the Lecture: Start by noting the outline of sub-topics that will be addressed in this episode. Write it out on a small sheet of scrap and keep it off to the side while you watch the episode. Meanwhile, as you watch, have pen and paper in hand and take notes from the lecture and organized per the outline of sub-topics that you have as reference on your sheet of scrap. Note-taking reinforces learning and helps you to better retain in your memory what you’re watching. 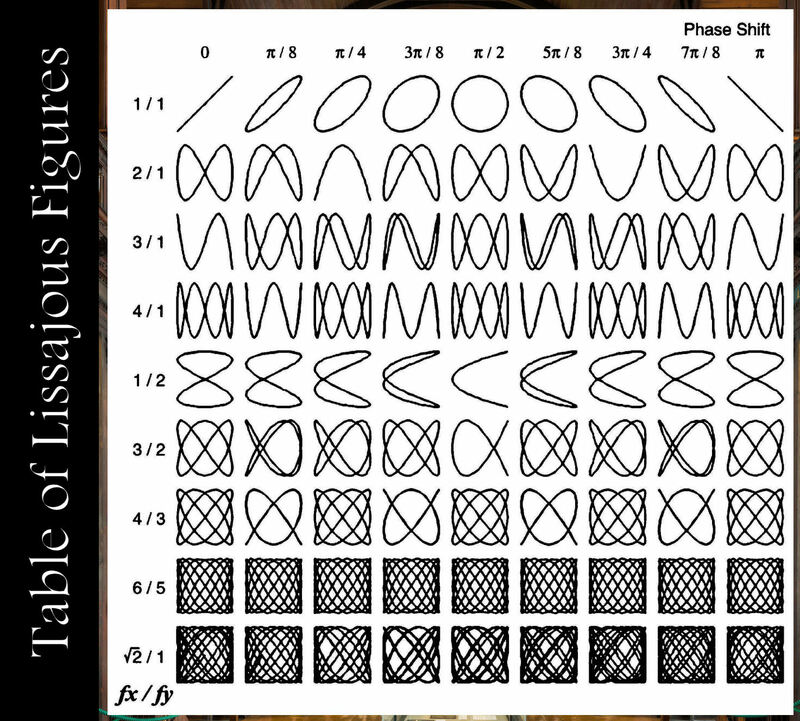 Lissajous and Chaldni Patterns: Even if we never learn what exactly Lissajous and Chladni patterns are or why we would even want to work with such patterns per resonance theory, you’ll see immediately that we tend to intuitively arrange ourselves in these patterns anyway. Learning the science strengthens and reinforces that intuition. 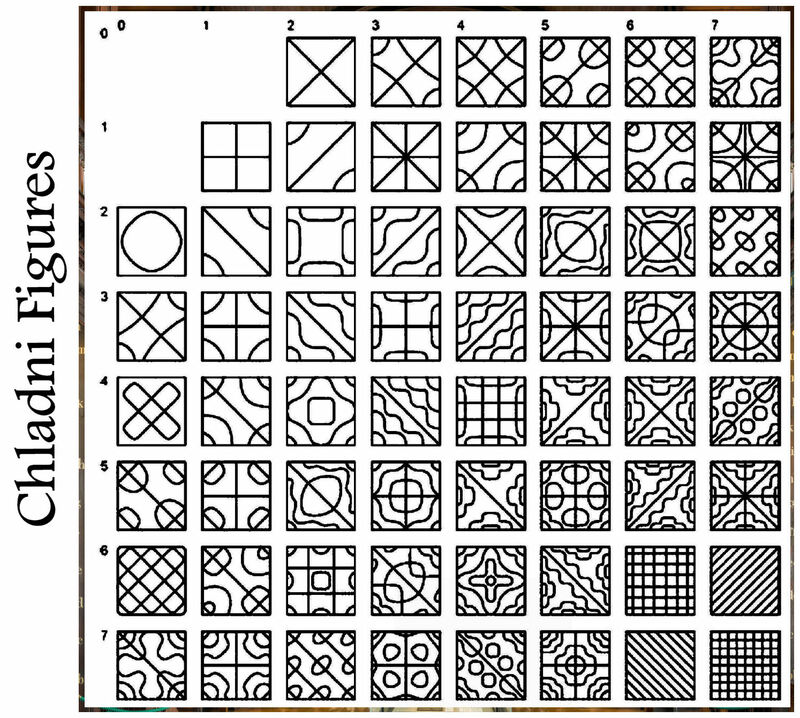 Intuitively select out your favorite Lissajous and Chladni patterns from the given selections. Create a reference page in your grimoire for such patterns and document that these patterns calibrate sacred space and strengthen nexus points between the earthly realm and the spirit realm. Your Personal Mandala: When it is the full moon, integrated into one of your full moon rituals, follow the instructions provided for structuring and designing your own mandala. Start with a guided meditation or a mode of relaxing and unwinding your body. Then, feeling as if you are channeling divine light, start designing your personal mandala during the full moon. Take the time to exert as much artistic ability as you have and dedicate it to this work. Use good paper or canvas. Go fancy with the art supplies. Create a personal work of art. The final personal mandala you’ve created is going to be a powerful talisman that attunes you to divinity. It’s a beacon that will help you to call down divine energies. Keep it in your sacred space or display somewhere in your home as a feng shui talisman to amplify positive energies in your environment. By the way, I would love to see your creations! If you’re on social media, be sure to take a photograph of it, post it on Instagram, and tag me @bellwen. I’ve been tinkering with digital animation to create b-roll footage for my YouTube videos. Also, in putting these videos together, I’ve benefited substantially from generous creative folk who provide their media for free download, copyright-free, under a creative commons license, or royalty-free. So I’d like to do the same. All of the following b-roll video footage are dedicated to the public domain, royalty-free, and may be used by you for personal or commercial purposes. You can do as you will with the footage with or without attribution, repost or share for free download anywhere else on the interwebs that pleases you, and create content or derivatives of these works, in a non-commercial or even commercial context. Credit is appreciated, but not necessary. The links provided for downloads are to my DropBox files. The second half of the discussion will continue in Part II (Episode #3). Part II will address magnetism, orientation, water, and anchoring. In other words, what you have after watching Part I is only part of the story. There are four more principles to consider when designing sacred space, so stay tuned and don’t reconfigure any part of your environment before watching Part II! After completing Part I, be sure to continue on to Part II.